Add a Bit of TLC Now for a Bountiful Harvest Next Year! Feed deciduous fruit trees now. Even though most of the varieties are done with fruit production for the year, it is important to add the strength to the tree for next year’s crop. Use the Nutri-Paks for fruits and nuts. These great packets will feed your trees for 3 full years. 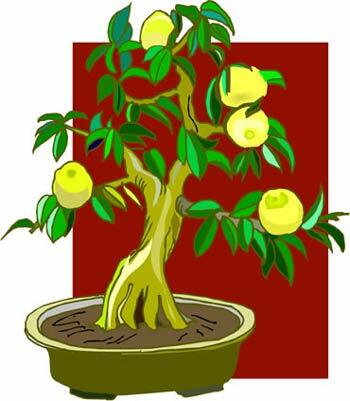 You will see your trees explode with growth and fruit production. Be sure to prune unwanted sprouts, those tall shoots that grow in summer straight up from the trunk and branches in the centers of mature deciduous fruit trees. Their growth is so sudden and rapid they soon look like buggy whips. Spot this growth as it begins and cut it out flush with the bark. A tree in which water sprouts have been allowed to persist and take over is a terrible mess. They eventually thicken and bear branches just like miniature trees within a tree, taking energy from the parent and ruining its shape. Some deciduous fruit trees also send up suckers from the base of the trunk and from roots. Cut these off now too, so they don’t sap the strength of the tree. Remember to water established trees infrequently. Water deeply and infrequently to encourage deep rooting, but don’t subject your trees to absolute drought unless it’s unavoidable. A good rule of thumb: mature deciduous fruit trees growing in hot interior valleys need four to six deep irrigations per month throughout the growing season in order to grow well and bear good fruit. Trees in sandy soil need more water. Young trees require more frequent water to get established. Every other day watering will work well for these new trees. This is the time to train fruit tree espaliers. Throughout the growing season train the whippy new growth that you want to save into the shape you want, but firmly into place. While the branches are still flexible try tying bamboo poles onto them to train them in straight lines. This system can be especially helpful if you’re training your espalier onto a wire framework, because wire bends but bamboo is rigid. Remove the poles when the wood has hardened. Cut off unwanted water sprouts, flush with the bark, from espaliered trees too, now.